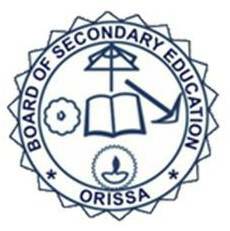 Orissa Annual HSC Result 2019: Board of Secondary Education Odisha has successfully conducted exams under the strict regulations. Now the board decided to declare Orissa Board 10th Result 2019 in the upcoming days, so candidates have chances to check their result soon at the same time the authorities also updates all the details at their official web portal for your reference. This exam conducted in the month of Fed/March 2019. Every year large number of candidates takes this exam this year also large number of candidates appeared in this exam; even they are expecting their good result. All the details about the BSE Odisha HSC Result 2019, is available at the website of the Board. All the candidates are advised to check the official web portal to get latest information about the result. Previous year the Orissa Board 10th result overall pass percentage was above eighty five this year also authorities expecting great pass percentages. Even girl students had performed better in the previous exam over boys. The Orissa Board decides to announce the Orissa Board HSC result 2019 very soon; the result will be available in the month of May 2019. The candidates who have appeared in this exam they also expecting their result. Candidates eagerly waiting to check their overall performance by getting in the Orissa board Class 10th result 2019. Every year Odisha ANNUAL H.S.C EXAMINATION RESULT 2019 published at the official web portal, it is the stress free way to publish result under different categories, like candidates get their result in name wise, center wise and roll number wise. It helps to avoid all the issues, by the way candidates have chances to get required data. If any changes occurs in the exam result date the authorities also updates information about the changes in the official web portal, so all the candidates recommended to check the official web portal periodically, it is the effective choices to gather all the details with ease. Students, who want to check their results first, can visit http://manabadi.com/odisha. In order to check Orissa Board 10th Results, you need to follow the below mentioned instructions, it help to check and download the result without any issues. At first you may look at http://orissaresults.nic.in , it is the official web portal of the board and the authorities always updates all the latest information at this site. After visiting this link you may click the respective result option, then you should enter some details like your name, roll number, date of birth then press the submit button. Within few minutes your result will be appear in front of you, you can download your result along with mark. In general the mark sheet always available in the pdf format, for your future reference you may save and download the score card. Candidates no need to wait for long time to get their result because the result will be available soon for your verification. Even you have chances to download the score card for your future reference. After the result announcement candidate can easily access their result by visiting official link. It is the comfortable way to save and download their mark sheet. This mark sheet is only used for reference purpose. At present all the candidate have chances to get their result via SMS and emails. It is the stress free way to get their result. To enjoy this facility candidate need to register their phone number as well as email id at the respective website. In addition it is the best way to receive latest updates about the Orissa Board HSLC result 2019. For more details about the BSE Odisha HSC Result 2019 check the official link.